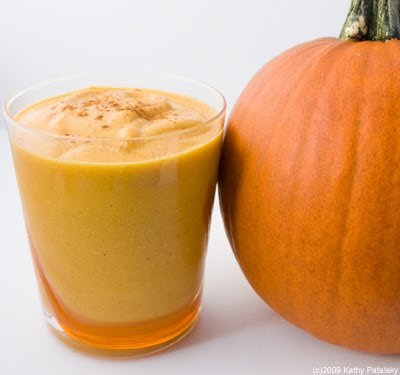 Pumpkin Pie Shake. Vegan. Pie Lovers'. *Farmer's Market brand of organic pumpkin really is my fave. 1. Add all your ingredients, except the ice, to the blender. 2. Blend on high until smooth. 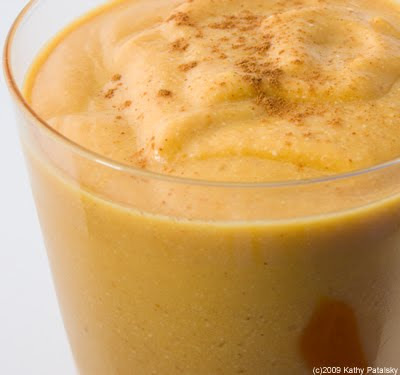 Yes the pumpkin will make this smoothie thick, so be patient while blending. If you need to add more 'milk' go ahead. 3. Keep blending and slowly add in the ice. Make sure it blends icy-smooth! Again, if you need to add a bit more liquid, do it gradually. You can always do a taste test before pouring and modify as needed to suit your own tastes. I added in a few extra cashews because I liked the body and flavor that they added. 4. Pour, sprinkle with cinnamon on top. Whipped rice cream-optional, but yummy. Serve! Delicious any time of day. Dessert-friendly. 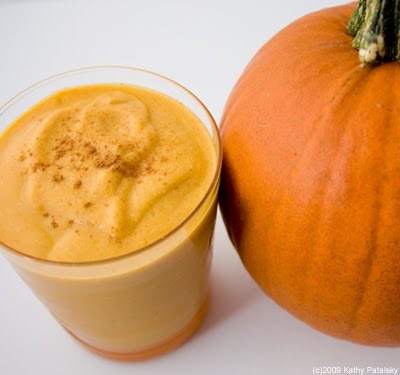 And yes, it will taste like pumpkin pie! 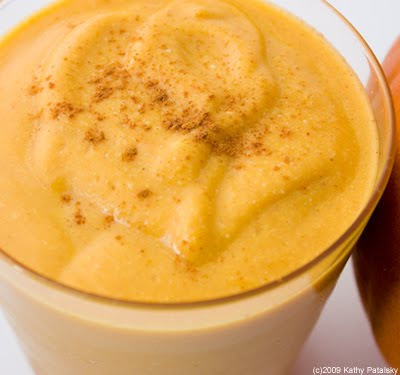 Bold beautiful pumpkin flavor. Table for One? Just making this smoothie for yourself? You can easily halve the ingredients for a nice sized smoothie for 1. Creamier? If you want to turn up the 'creaminess' a notch, add in a bit more soy cream, non-dairy milk and even a spray of whipped cream blended right into the blender. Dessert Please! 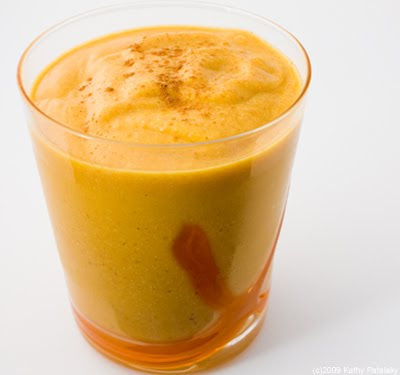 You can easily make this into a delicious pumpkin-ice-cream style shake by removing 1 cup of ice from the recipe and replacing it with a big scoop of vegan soy/hemp/coconut/rice cream. Vanilla flavor of course. 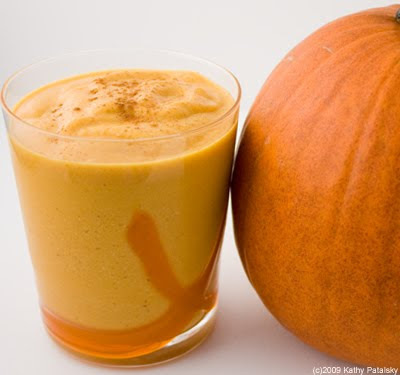 Perfectly Pumpkin: Feeling super adventurous and cringe at 'canned veggies'. 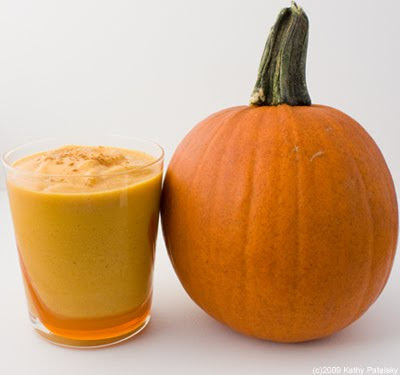 Well OK, grab a 'pie pumpkin' roast it, puree it and chill the pumpkin puree in the fridge. Use it in place of canned! I haven't tried this, but I'm sure it's super-yum.